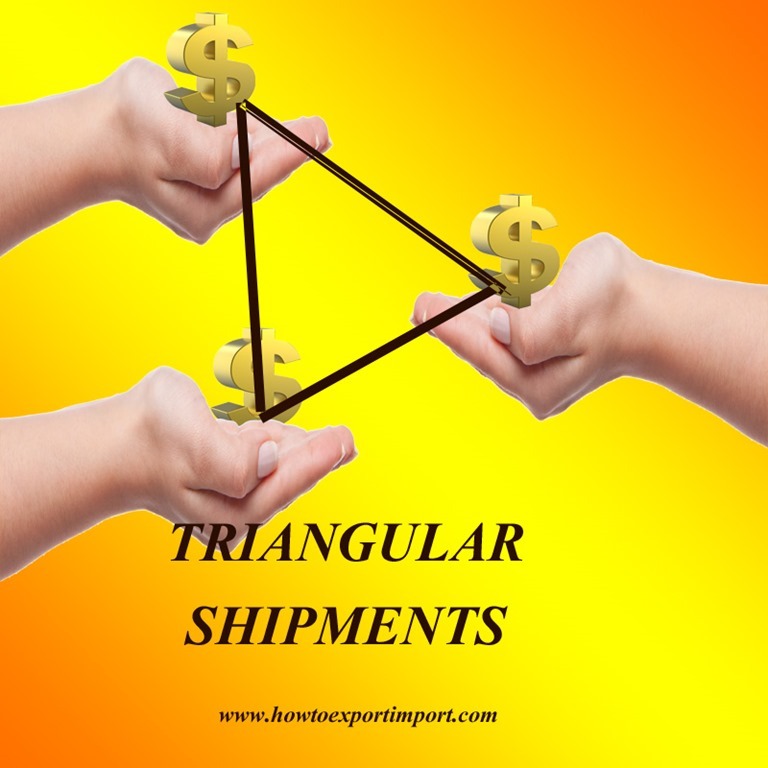 Before reading this article, I suggest my readers to go through all other articles related to triangular trade which make you more clear about the procedures and formalities of triangle trade. In a triangular exports and imports, if A obtains order from B and transfers export order to C who is final supplier, the terms of contract between parties each other can be explained below with two levels. 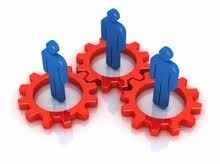 In the example level 1 above, A acts as seller of goods and B acts as buyer of goods. 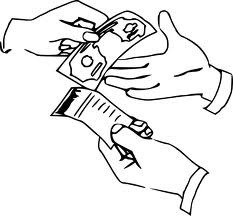 A delivers goods to B by sourcing goods from C. On maturity of payment agreement each other between A and B at the time of placing order, B pays the agreed amount to A against his invoices. In other words, the foreign exchange is transferred from B’s country to A’s country. In the example level 2 above, A acts as a buyer of goods and C as seller. C ships goods to B’s place, but invoice to A. On maturity date of agreement on payment between A and C, C receives payment from A as per their agreed terms. In this case, the foreign exchange is transferred from A’s country to C’s country. Did you like this article. Please discuss. Nikos Giannakakos: On 18 April 2016 I am about to set up a company in Dubai selling fashion products and accessories to USA. My company will act as a distributor co-operating with designers from Greece (at least initially). I am puzzled with the process for collecting and delivering the products from Greece (multiple locations) to USA (multiple locations). 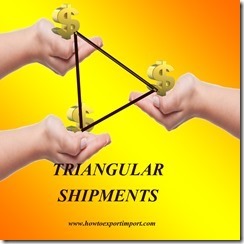 I have read that such transaction a.k.a triangle import/export.I would like if you can help me with the following: 1) First of all is it possible the Dubai company order from Greece and deliver to USA customers (retail shops) 2) What kind of documentation is required (invoices, pick-up list, certification of origin, etc.). 3) Are there any taxes/duty fees or other fees at the Greek customs for exportingg the products. How are these handled? 4) Are there any taxes/duty fees or other fees at the USA customs for importing. How are the handled? 5) Are there any barriers that I should know in advance that might postpone export of products from Greek customs or import of products from USA customs? sriram: On 28 April 2016 thanks for giving the overview about triangular trade. Just have a question, in a situation where A from India despatches goods to C in say Thailand against COO certificate against despatch instruction from B in say USA. What is the value which needs to be captured in documents. For example, let us assume A cost plus margin is Rs.108 and B, USA invoices to C in Thailand at 120/. In this situation what values to be mentioned in COO, Shipping Bill, in India. Can we take 120 as the FOB value of exports?